Showstopper, One-of-a-Kind, Fully Renovated Duplex 1 Bedroom in Prime ChelseaStyle, functionality and WOW factor welcome to Unit 1A at 338 West 19th Street, a coop that operates more like a condo.Impeccably designed and developed by MySuites & Co, curated by Chelsea artist Sophie Staerk and featuring her work, unit 1A truly epitomizes elegance, creativity, and is the perfect marriage between uptown ritz and downtown glam.This spectacular, pin-drop quiet home truly has it all including an in-unit Beko washer & dryer as well as newly installed Fujitsu A/C units on both floors. The entire home has been completely renovated and features striking white Scandinavian hardwood flooring throughout. The parlor floor is perfect for entertaining with an outstanding flow from the chefs kitchen, to the dining area, to the inviting living room adorned with exposed brick and a decorative fireplace. 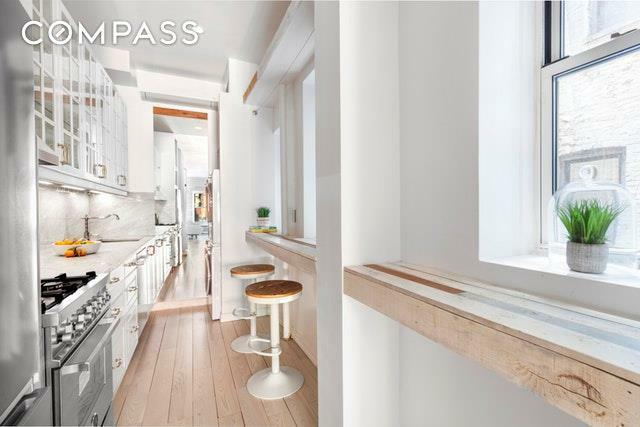 The kitchen features abundant counter space, Carrara marble, custom white cabinetry and high-end stainless steel appliances including a Bertazzoni Pro range and Beko dishwasher.The lower lever is your oasis and escape from the hustle and bustle of NYC. The master suite includes a personal office, a fantastic media room as well as a bedroom that fits a king-size bed. 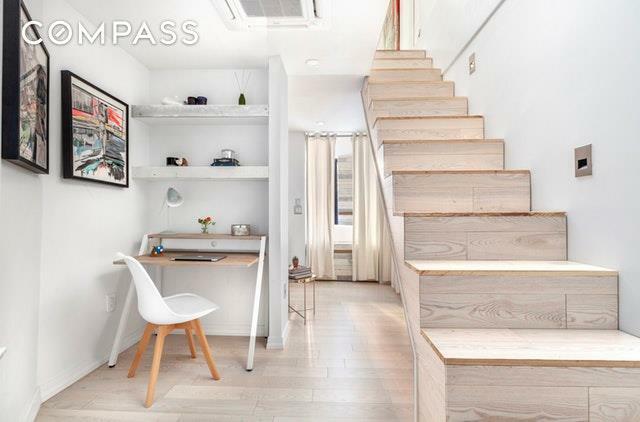 The hallway of custom closets is a NYC dream more than enough space for all your belongings. The creative and beautifully designed bathroom features Carrara marble, towel warmer and a brilliant sliding door that creates not only privacy but is wonderfully functional as well.West 19th Street is a wonderful, tree-lined brownstone block in the heart of Chelsea. 338 West 19th Street is a well maintained 18-unit townhouse style co-op with an elevator and laundry room. You will love the building flexibility as it allows pets, has a liberal sublet policy and co-purchasing, parents buying for children, gifting, and pied-a-terre ownership are allowed on a case-by-case basis.You will be in the epicenter of all Chelsea and downtown Manhattan has to offer. 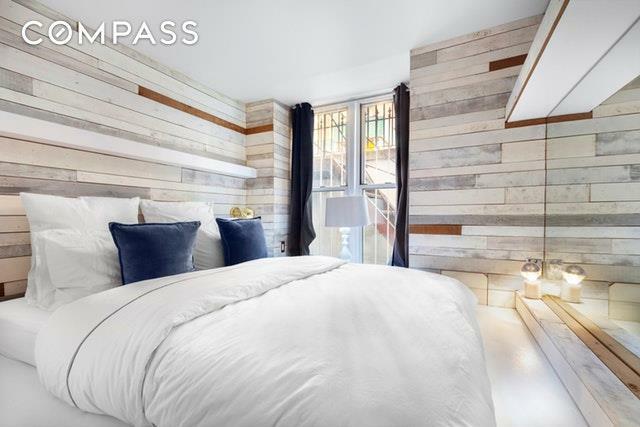 Grab dinner at Chelsea Market, go for a walk on the Highline, or relax on the Chelsea Promenade - 338 West 19th Street is conveniently located near the Meatpacking District, West Chelsea, the West Village and Flatiron. 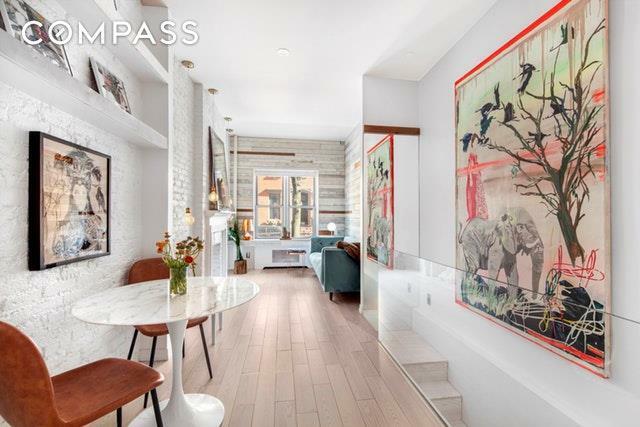 Many of the citys best restaurants, jazz clubs, nightlife, gourmet food markets and museums are right outside your door, as are Google, NYU, and FIT.Contact me for a tour of this one-of-a-kind home.